Whether you’re looking for a quiet retreat or boisterous nightlife, bird-watching or whale-watching, ocean beaches or kettle ponds, drive-ins or professional theater, Cape Cod and the islands offer all that and more. 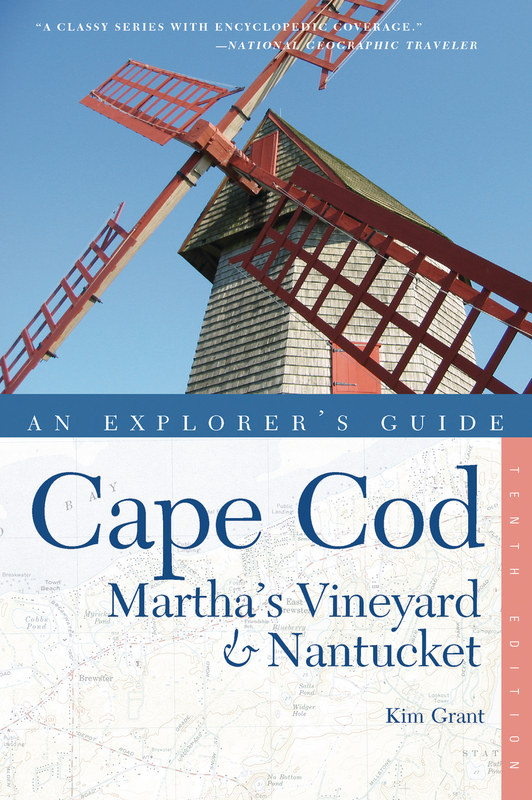 The very best resource available to guide you through the riches of this fabled place is the tried-and-true Explorer’s Guide Cape Cod, Martha’s Vineyard&Nantucket, now in its 10th edition. Kim Grant is a travel writer and photographer. Her photography appears in Explorer’s Guides to Maine, Vermont, New Hampshire, the Berkshire Hills and Pioneer Valley of Western Massachusetts, Connecticut, Rhode Island, and New York City, as well as other travel guides and national magazines. She is the author of Explorer's Guide Cape Cod, Martha’s Vineyard & Nantucket and Explorer's Guide Hawaii, plus several Lonely Planet guides. She divides her time between Albuquerque, New Mexico, and Sausalito, California.